Stardom and new sports models have brought glamour to the sports industry. This is attracting more people towards the sports industry, either as sports persons or sports lovers. This transition in sports industry has not only brought plethora of opportunities for new emerging sportsman, but also to those who are working behind the scenes. Here ‘behind the scenes’ is Sports Management. In recent years this has emerged as a career option for sports and management enthusiasts. Even though veteran sportsmen are heading key positions in sports industries, the industry needs many management professionals to work on various verticals. The benefit of a sports management degree is that it provides the student with the basic foundation of the sports business. It also focuses on the business attributes of sports, finance, marketing, leadership, facility management, event management etc. Apart from this the sports management profession provides opportunities, such as the ability to work with a wide range of people who share a common passion for sports, and becoming a vital part of a sports organization. Also this is not limited to one specific geographic area since sports is prevalent in all locations. Today, the sports industry is encouraged by government and corporates leading to a growth in the industry. 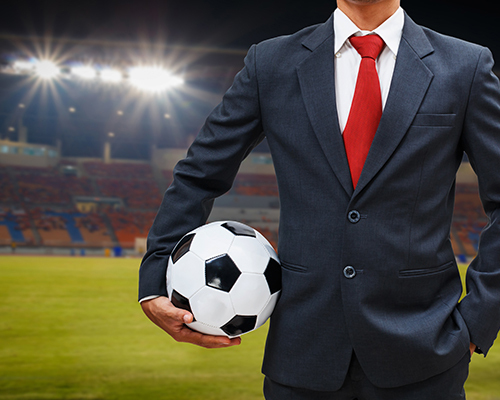 This has led to an increased demand for more professionals with sports management degrees. Foreign Direct Investment (FDI) in sporting has led to an increase in organizing more sports events and since 2008 the industry is growing at a fast pace. So students have more reason to go for courses in the Sports Management….